Finally Avengers: Infinity War has revealed where the Soul Stone was hiding - the last riddle of Marvel's Infinity Stone mystery. 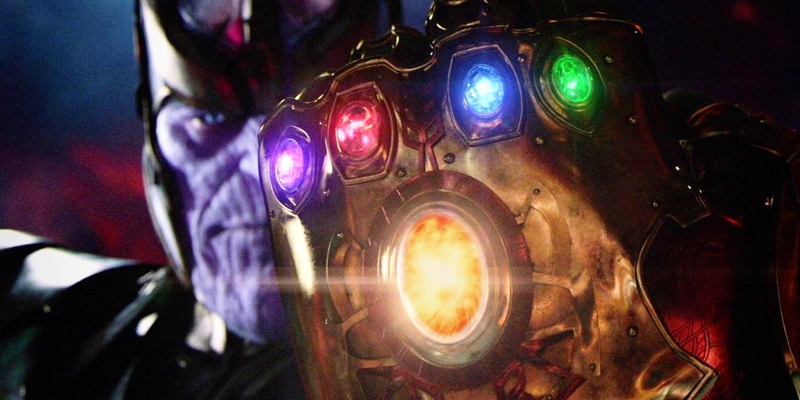 Fans had spun theories about the many places the final Infinity Stone could be hiding, ready to be acquired as the master stroke of the Mad Titan, Thanos. The final piece of the puzzle that, once revealed, would let him change the MCU and its living heroes forever. That time has finally come, and Thanos has shown the power of the Soul Stone in Infinity War... but in a twist few saw coming, it wasn't actually finding the Stone that was ever the hard part. The true mystery was what had to be sacrificed by the one to claim it. It's a heartbreaking task, but we're here to see that the final location and sacrifice of the MCU's Soul Stone is explained. After so many years spent wondering where it could be, what clue was being missed, or what twist Marvel had in mind, the actual reveal is a bit of a relief. As it turns out, the Soul Stone's location was also one of the sought after mysteries of Marvel's fictional universe, as well. A riddle not even known to Thanos - but one he entrusted to nobody other than his favorite daughter, Gamora. A mystery she solved by finding a map to the Soul Stone's location, and a mystery she made sure wouldn't be solved by Thanos, by burning the map and pretending she has found no answers. Nebula is the first to pay for that deception, as Thanos tortures his cybernetic daughter to get Gamora to offer up the name he needs: Vormir. A planet pulled from the pages of Marvel's history, but as little more than an Easter Egg for fans. The planet itself isn't important, only the strange ritual sacrifice put in place to keep it out of evil hands... and the strange hidden figure left to guard it. In what has to be one of the most shocking twists of a movie filled with them, the robed, hovering, ghostlike figure standing as gatekeeper to the Soul Stone is Johan Schmidt a.k.a. Red Skull, villain of Captain America: The First Avenger. Last seen trying to wield the Tesseract with his bare hand in Steve Rogers's origin film, Red Skull explains that his attempt to use the Stones has led to his current fate. Now, it seems, he is cursed with the knowledge offered by the Soul Stone... but will never be able to claim it for himself. That may be due to his own evil past, or the strange metaphysical state he now seems to be trapped within (defying gravity, and partly phasing in and out of tangibility). Either way, Red Skull has been on that Vormir mountaintop since the 1940s when he seemed to be killed, shortly before his nemesis shared the same fate. He's been waiting for someone like Thanos, but even he may not have guessed the villain's overall plan. Thanos and Gamora are led out to the very edge of the highest cliff where they discover the truth. The Soul Stone is not waiting to be found at all. Instead, unlike all other Infinity Stones before it, it will present itself to the one who claims it... by first making a terrible sacrifice.